Kasper Nelson: Shallbowie “Kasper” Nelson always dreamed of being a comedian as a family and class entertainer he grew up listening to Richard Pryor albums and watching Flip Wilson on television. Kasper would mix both comic styles and use them to perform routines for family, friends and schoolmates. By the tender age of fourteen Kasper had developed his own 20 min routine and was a working professional comic in his hometown of Knoxville, Tenn. By age sixteen Kasper armed with permission slip from his mother was a regular on open-mic nights at the famous Funny Bone comedy club in Knoxville Tenn. Before leaving home he co-headlined concerts, hosted practically every local talent event as well as opening for the late greats Roger Troutman & Zapp. After completing high school Kasper was already a veteran at getting laughs. In search of more opportunities he left home and moved to Atlanta, GA. After seven years of open-mic nights and countless day jobs Kasper earned the respect of comedian Earthquake who booked Kasper at both of his Uptown Comedy Corner clubs in Atlanta, GA. Earthquake soon started booking Kasper as his opening act. While on tour Kasper caught the attention of King of Comedy D.L. Hugely who also booked him as an opening act. Kasper also opened for Chris Tucker, Paul Mooney, Cedric “The Entertainer”, Don “DC” Curry, Jonathan Witherspoon, Monique, Sommore, Earthquake just to name a few. In 1997 Kasper won the Canadian Mist Comedy Competition, as well as advancing to the semi-finals at the Oakland Bay Area Comedy Competition to take second place to none other than Nick Cannon. This opened the door for many executives to view Kasper’s comedic styles they were still laughing when they offered Kasper his first opportunity to perform before a national audience and bring his lifelong dream of being a comic on TV into a reality. Kasper’s unforgettable appearance and storytelling brand of jokes made him an instant favorite with fans all over America. 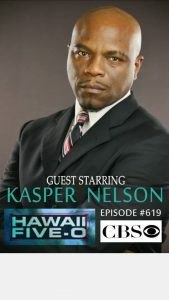 Kasper’s performance earned him a 30 minute Grand Stand on BET’s Comicview. Kasper has appeared every season since 1997 and is now one of the most recognizable comics in the country “people notice me everywhere I go.” This is most evident when Kasper headlines to sometimes record breaking sold-out attendances he is one of the strongest draws on the comedy circuit today. Kasper has realized his childhood dreams and is now taking on even greater ones. He has turned his focus to writing, producing and directing. Kasper has produced and starred in a public access show entitled Kasper’s Kouch which is a Jay Leno type variety show in which Kasper hosts, acts in skits and interview guests with his puppet sidekick Kissy Love snuggles. The second show Kasper produced, wrote and acted in was entitled Kasper’s Raw Stand-Up it is just what it sounds like it is a show that features a variety of comedians, actors and musicians from up and coming to superstars. The performances are uncensored and raw to say the least. The show airs late night on Atlanta’s public access channel People TV. Kasper gives very candid interviews to his guest he writes, co-produce and co-direct on both shows. There are only great things ahead for this new and refreshing comic. Kasper will continue to bring the joy of laughter to millions of people from all walks of life.